Adelaide C. Ward Women's Heart Health Center at University of Kansas Hospital is making a difference! "The Preeclampsia Foundation's brochures have been fundamental in our quest to better serve our patients at the Adelaide C. Ward Women's Heart Health Center at the University of Kansas Hospital. Recently, we have started a preeclampsia and heart disease service that seeks to better educate preeclampsia patients about their increased risk of developing heart disease and stroke. Using the Foundation's preeclampsia and heart disease brochures, we are able to not only reach out to many women during their hospital stay but also to send them home with a reminder. Additionally, we are making a concentrated effort to screen Spanish-speaking women using translated materials. Ultimately, our goal is to not only educate women about their risk but also help them make positive lifestyle changes. Our clinic offers a 90-minute personalized heart health risk assessment, which evaluates each patient's risk. During the assessment, our cardiac nurse practitioner uses each patient's results to make customized recommendations to help lower her risk in the future. 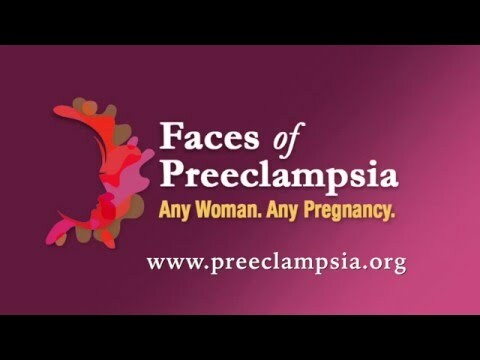 Using the Preeclampsia Foundation brochures, our clinic has been able to seek out a higher risk population, educate them, and potentially help them reduce their risk in the future. These brochures have been a great tool and asset to us, and more importantly, to our patients." Healthcare provider may order patient education materials online here.